Do not go where the path may lead, go instead where there is no path & leave a trail. Own the space & control your own destiny through innovation & by adapting to what your customer’s want. Become a category leader by carving out your own unique niche. Welcome. Before I begin, I want to remind you that there is a free downloadable guide for you at the end of most every episode of the podcast. I always try to include one easy-to-download, quick-to-digest strategy that you can instantly adopt and make your own. One that you can use to grow sustainable sales and compete more effectively. 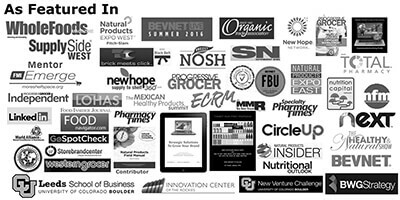 Remember, the goal here is to get your product on more retailer shelves and into the hands of more shoppers. Here’s what you’ll learn on today’s episode. Today, you’re going to hear about a brand that was actually born in a kitchen. The original distribution service for this product was a small fleet of two little red wagons. Yes, you heard me correct. Two little red wagons. This is a brand that was bootstrapped and eventually grew to become the number one brand in the category in several leading retailers. Here how they accomplished this miracle on today’s episode. We also have a really good discussion about how you can improve your trade marketing efficiency. Let me explain. 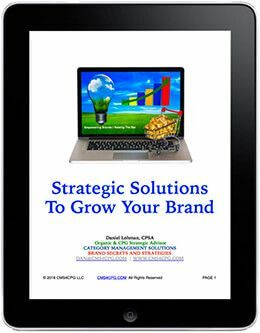 Trade marketing is typically the single largest line item on every brand’s balance sheet. Trade marketing includes getting your product on the shelves through slotting and promoting and all the different things that a brand has to do to get their product in the hands of new shoppers. The challenge is that this is an extremely expensive endeavor. If brands don’t get this right at the very beginning, before you even launch the product, you could spend a tremendous amount of money on just trying to buy one facing on a retailer’s shelves. What we discuss on this episode are several different strategies to increase your ROI, your return on investment, and give you more runway so that you can better use your funds to help grow your sales and grow your brand. I give Joel several tips and strategies toward the end of the podcast that you can use on your own to help you get more runway out of your funding. It’s my belief that being a CEO of a brand should be more than just going out and trying to find more and more and more capital. I’m working hard to help you maximize the amount of money that you have so that you get more runway out of it. So you get more sales. 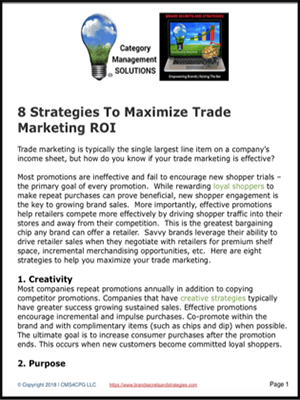 And so that you can get your product in the hands of more shoppershttps://categorymanagementsolutions.com/growsales. Ultimately, that’s our goal, right?